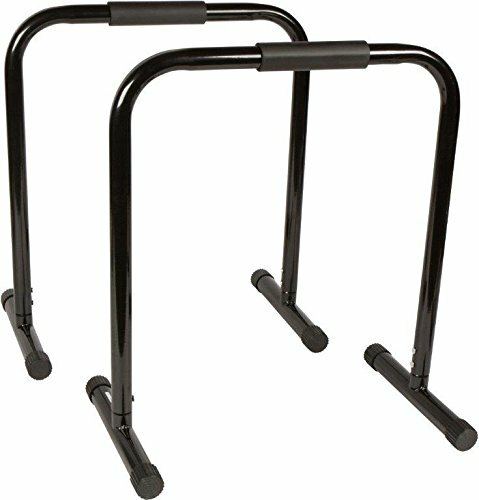 Each dipstand bar measures 14.5"L x 25"W x 28.5"H. Comfortable foam padding for gripping allows for non-slipping of hands. Easy to assemble. A versatile addition to any home gym that helps build strength and stamina. Allows one to use their own weight resistance to build strength. 300lb. User weight capacity. By Trademark Innovations.